Customer service, economical high-quality printing and state-of-the-art technology are taken very seriously at Print Northwest. Each day, highly skilled and dedicated employees strive to make our customers' experience with Print Northwest go beyond satisfactory in every way. This is why we are one of Yamhill County's leading producers of commercial printing, serving both large and small customers for almost 20 years. Our strong commitment to quality, service and technology has truly benefited our customers over the years. As our industry evolves, Print Northwest will continue to lead the way - providing innovative solutions to meet your changing needs. Call, email or drop by our convenient McMinnville location for all your printing requirements. 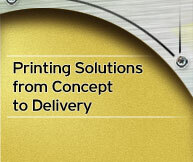 We will gladly give you a free estimate on any printing job, large or small. Our skilled staff is looking forward to working with you on your next project.